Our difference is based on providing expert advice, carefully selected product ranges, responsive and consistent employees who always work together as a team. We strive to offer good value to our customers, from well trained and motivated employees. 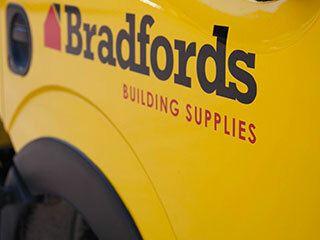 At Bradfords, we have a passion for understanding our current and potential customers. We constantly develop expertise to ensure we offer the best advice and solutions available. We are straightforward, honest and fair in all our dealings. We always work together as a team. We are result orientated, are proud of our heritage but progressive and energetic. We are socially and environmentally responsible.